Flea markets will never go out of fashion, they are just too much fun. Tampa has its share of indoor and outdoor, small and big markets selling everything and anything under the sky, and most of them have been around for a long time. One, Fun Lan, is even combined with a drive-in movie theater. All Tampa flea markets sell not only things such as clothes, jewelry, furniture, and the like, but also prepared food, fresh produce, books, and various services such as repairs, ear-piercing, and all sorts of games. They are great fun for the whole family and an exciting way to spend half a day on a weekend. Every Saturday and Sunday from 9am to 4:30pm, thousands of people flock to the Big Top Flea Market in Tampa, known as Florida’s cleanest and the most modern market. Located just East of I-75, this fantastic flea market has over 1,200 booths that sell just about everything: Clothing, footwear, jewelry (precious and costume), tools, artwork, antiques, collectibles, furnishings, pets of all kinds, electronics, sporting goods, T-shirts, sunglasses, and much, much more. This large indoor flea market is a great spot to spend a weekend with the family. You can look for bargains, grab a lunch or load up on fresh produce, or just have fun browsing the colorful booths and trying to figure out what are some of the things are used for. Fun Lan Drive-In is a popular Tampa outdoor theater that has been entertaining folks under the Florida starry sky since 1950. In 1981, Fun Lan welcomed another fun addition – a flea market selling just about anything under the sky, with the philosophy that one man’s trash is other man’s treasure. So, when you finish watching the latest blockbuster, stroll through the Swap Shop and look for the latest fashions and accessories, antiques, tools, produce, DVDs, and all kinds of food. For best bargains, come early; the market opens at 6am. You can also bring your own former treasures and make a few bucks. The Oldsmar Flea Market is a combination of carnival, circus, and shopping bazaar, loud, exciting, and colorful. 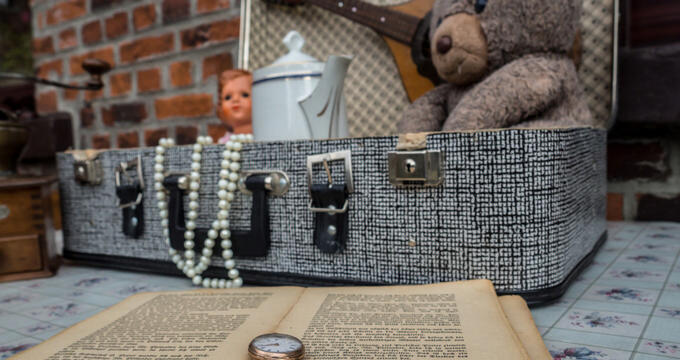 One of the original Florida flea markets, Oldsmar has been around since the mid-80s and you never know from one weekend to the next what you are going to find. With 1,200 stores and booths spread across 25,000 square feet, there is something for everyone: Sports equipment, fishing lures, sunglasses, guitar accessories, clothes, original antiques, golf clubs for lefties…if you can imagine it, you will probably find it. There is live music most weekends, the market is open Fridays, Saturdays, and Sundays, and there is a lot of yummy food such as elephant ears and corn dogs. Check out the Muddy Potter Art and Clay Studio, where you can make your own coffee cup. Tampa Flea Market is a fairly small indoor air-conditioned flea market near Busch Gardens. It is open from Wednesday to Sunday from 10am until folks get tired. They sell regular stuff at bargain prices, such as costume jewelry, clothes, mattresses, shoes, food, hats, and glasses but also some more bizarre things like crystals, which are sold in a “metaphysical store.” There are electronic repair shops, game shops, a tattoo parlor, a seamstress who does alterations, and much more. This is not the place to look for antique treasures or precious jewelry. But, it is fun nevertheless, and you never know what you might discover, even if most things are made in Taiwan.